Joseph Henry Estep, age 72, of Rutledge, passed away Friday, January 18, 2019 at the James H. Quillen VA Medical Center in Johnson City. 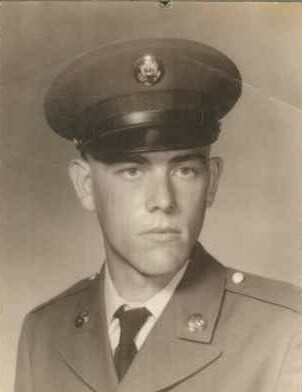 He was a veteran of the U.S. Army serving during Vietnam and was a loving husband, father, and grandfather who will be missed by all that loved him. He was preceded in death by his parents, George and Lucille Estep. He is survived by his wife of thirty-five years, Brenda Estep; daughters, Stormi Estep of Rutledge and Rebecca (Marty) Kitts of Speedwell; three granddaughters; one grandson; four brothers; five sisters; and several nieces and nephews. The family will receive friends from 6 – 8 p.m. Thursday, January 24th at Westside Chapel Funeral Home. Funeral services will follow at 8 p.m. with Rev. Stacey Lawson officiating. Family and friends will meet at 1:45 p.m. Friday, January 25th at Mountain Home National VA Cemetery for military graveside services. Arrangements by Westside Chapel Funeral Home in Morristown.